Check out some of France's most famous monuments. If you're studying the French language, it only makes sense that you should learn some interesting facts about France. With such a rich history and diverse culture, there is always something new and interesting to discover. From geography to government, read on to find out how much you really know about France! French Guiana is located in the Northern part of South America bordering Suriname and Brazil. Guadaloupe is a Caribbean island south-east of Puerto Rico. Martinique is also a Caribbean island north of Trinidad and Tobago. Réunion is a part of Southern Africa and it sits in the Indian Ocean just east of Madagascar. These territories make up about 20% of France and are home to an estimated 2.5 million French citizens. The Seine River flows through Paris into the English channel. The Rhone River flows into the Mediterranean sea from the Alps. The Loire River, which starts in the west and flows to the Atlantic Ocean, is also the longest river in France. The Garonne River also flows into the Atlantic from the West. However, in addition to these major waterways, France has twenty-four smaller rivers and tributaries which allowed for easy transportation throughout the country before railways were built. The river system in France is about three hundred kilometers long. 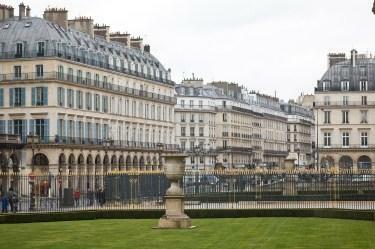 Of course, with such a long and rich history, France is home to numerous famous landmarks. From the Louvre to the caves of Lascaux, France attracts many tourists each year. The Canal du Midi, in the south of France, is Europe's oldest functioning canal. It was originally built to allow a passage from the Mediterranean Sea to the Atlantic Ocean, bypassing hostile Spain. The caves at Lascaux were discovered by accident in 1940, but are considered to be some of the world's best examples of prehistoric art. There are more than 300 historic chateaux in the Loire valley. The Millau Viaduct is the world's tallest vehicular bridge. It spans the valley of the Tarn river in Millau, France. It was opened to traffic on December 14, 2006. The only Disneyland in Europe is in Paris. There are also a slew of historical landmarks such as Notre Dame and Montmartre. One of the things that makes France so interesting is the mixture of both the historical and modern. France has always promoted the arts on a national level. Government money goes into maintaining precious heritage sites, and there are laws that help promote the work of French artists. Radio stations in France have to play at least 40% of their music in French during prime hours. Consequently, France has a thriving music scene. The Louvre Museum is one of the largest art museums in the world. It was once a royal palace but was opened to the public as a museum during the French Revolution. France is host to over forty major museums. Beer is a moderately expensive luxury, and sometimes you have to pay for water (or rather mineral water) at a meal, while wine is often included in dinner prices. There are seventeen distinct wine-producing regions in France making it one of the leading producers of wine in the world. April Fool's Day is believed to have originated in France when people didn't switch to the Gregorian calendar. Whether you are an avid outdoors person or you want to take in the cultural sites of Paris, there is always something to do in France. The French government really works to promote the French culture in all aspects.